The 2 learning levels in the Ontario licensing program before you get your full G license are the G1 and G2 levels. When you have G2, you may drive with fewer restrictions. If you are wondering about a G2 license, then you may read on for useful tips to pass the G2 level and avoid some common mistakes. In Ontario, you have to pass a road test to get the G2 license which is stressful for most new drivers. With proper practice on the road and attention to rules of the road and traffic, you may benefit. This will improve your confidence level and comfort once you are behind the wheel to pass the G2 level. A G2 driver has more privileges than a G1 driver and hence more responsibilities. When you drive regularly you must follow your instincts, correct road ethics and remember the rules. Any unforeseen incident may occur such as road construction, danger zones, reduced visibility due to fog, parking lot mishaps etc. Get a G2 license after you wait for a year with your G1 license. After you gain experience on the roads and know the rules of the road, you may try to get a G2. With a driver education course, they may reduce waiting to 8 months. Let us check out the significance and qualifications to get a G2 license in Ontario successfully. The following driving skills may be examined during a 20-minute test and you need to practice those. When you hold a G2 license it means that you are a novice driver and not fully licensed. At the G2 level, you are still learning the rules of the road by driving practice and theory. This helps to gain valuable driving experience to pass the G2 road test. You may also have driving restrictions with a G2 license. In Ontario, there is a graduating licensing program that starts with the G1 followed by G2 and then the full license G. The G1 has most restrictions and the G2 level has lesser restrictions. Once you pass the G2 exit test also known as the G road test, you may get a full license with no restrictions. You may get your G2 license after practicing for a year with your G1 license. If you complete a driving course then you need to wait for 8 months. You may practice driving with your G1 license and follow all the restrictions. The passing of your road test and knowing rules of the road are essential to get your G2 license. If you choose to practice driving by enrolling in a certified driving school it would benefit you. In case you fail a G2 road test you may practice and appear again until your G1 license is valid. You may also have to pay the fees for the road test each time. With ample practice time and focus on the rules, you may pass the road test. After you meet all the requirements as per G1 level you may book for a G2 road test in Ontario. You get your G2 when you pass your road test after a year with your G1. By taking a driving course you may give G2 road test after 8 months and will also hone your driving skills. In case you do not pass your G2 road test in your first attempt then you need not worry. You may practice more on the roads and take professional lessons to improve your driving skills. When you are prepared and confident then you may give another G2 road test. It is good to remember the old phrase, ‘Practice makes a man perfect’. This is true for driving too. You may qualify for the G2 road test if you have your current G1 license since a year (or 8 months with a course) and G class vehicle. You must pay the test fees and arrive 30 minutes prior to your appointment. There is an expressway driving component for which you may sign a declaration for sufficient driving experience. In case you do not have sufficient expressway driving experience then they may not allow you to take the road test. They may declare your road test as ‘out of order’ and cancel it and you will lose 50% of your road test fee. You may have to pay that 50% fee again to take a road test again later. So, it is wise to gain the required driving experience for highways and then reschedule another road test. Arrive for your appointment early to complete all check-in formalities. Remember to bring your contact lenses or glasses to the road test if you have that condition on your G1 license. It is important to prepare a vehicle in good working condition for the road test and you may pay attention to the following. Your vehicle should be free of any audible or visible defects as per Highway Traffic Act. Doors, seatbelts, foot and dual brake, seats, mirror, horn, signals, lights, defroster, defogger etc. must function properly. None of these vital parts must be missing in your road test vehicle. The windshield should not have any damage or cracks. The tires should not be flat, defective, donut or unsecured. There should be no defects in the muffler or any fumes or fuel leaks in the vehicle. You may not carry passengers, pets, insects, inflammable goods, compressed gas or any hazardous objects in your vehicle. They may not allow you to use a convertible vehicle with roof down or unsecured. Book the correct class of road test and arrive with the correct class of vehicle. Wear your seatbelt and glasses or lenses if applicable. Provide your driver education certificate copy if any. Display valid vehicle plates, permits, stickers, car insurance coverage, liability card etc. Do not drive a panel van or vehicle with dealer service plate having an old sticker. You may book your road test for your G2 license at any DriveTest Ontario. Or, you may call 1888 570 6110 or 647 776 0331 for an appointment. They also allow you to book your road test online. You may provide your valid G1 license and choose 3 locations in order of preference along with the date and time. In case you wish to reschedule or cancel your road test for any reasons, you may call them, check online or go to a DriveTest Ontario. Any road test fees paid would remain valid for 6 years from the payment date. If you do not give any road test during those 6 years, then they do not refund the fees. If you prefer to give your road test with a French speaking examiner then you may book accordingly. There has to be a gap of at least 10 days between the tests if you need to retake a test. The cost of a road test to get a G2 class license in Ontario is $52.50. You may pay by credit card, cash, debit card, certified personal or business cheque, bank draft, travelers’ cheque or money order. If you fail your road test then you may pay additional fees while booking for a retake of each road test. All the revenue that generates from the driver license fees helps to support maintenance of bridges, provincial roads, and highways. If you wish to cancel your road test then you may do so at least 48 hours before your appointment. Else they may charge you a cancellation fee. You may get your G2 license in Ontario when you pass your road test with a valid G1 license. When you successfully pass your G2 road test, they will give you a temporary driver permit valid for 90 days. They will send your official G2 license in the mail that will be your permanent G2 license with photo. You may get your G2 license in Ontario faster by taking a certified driver education course. This will reduce your waiting for a G2 license road test from 1 year to 8 months. You may practice on the roads well in advance and then give a road test. When you pass the road test you get the G2 license. Though you are expected to arrive at least 30 minutes before your road test, your G2 road test itself takes around 20 minutes. They test you on your basic skills for driving in the city and expressways. The highway driving component is essential for your road test. You may practice and perfect your driving skills to prepare for your G2 driver road test. By taking a certified driver education program you may get valuable training and advice on improving your driving skills. You may familiarize with the road conditions so that you feel confident for your G2 test. Practice is the key word to success. The MTO handbook for drivers has detailed information on how you recognize a road or traffic sign, right of way laws, street signs etc. By knowing the content of this handbook well, you may feel comfortable while driving. Though you may have to pay more for the driver education course, it has 2 benefits. The first benefit is that it reduces your wait time to 8 months for a road test. And you get valuable training with an instructor who would assess and correct your skills. Gain some driving experience on the highways as it is essential for your G2 road test. You sign a declaration that you have driven on highways with a speed limit of minimum 80 km per hour. This has to be 3 months prior to the road test and you must also mention the length of your trips. Though a lot of drivers cringe when they have to do a parallel parking, you may have to do that for the road test. With lots of practice and focus you may perfect your parking skills. Don’t relax when you parallel park correctly and pay attention to how you exit out of the parking spot. Remember to turn the engine on, release your parking brake, turn on the signal, and check your blind spots and mirrors. When safe, steer out of the parking space into the road and accelerate gradually to blend with the road traffic. The time you sit for the road test, your examiner will start to observe every movement. Nervously fidgeting with anything is a no-no. Adjust your mirrors, buckle up your seatbelt, turn off any music and check the signal lights are working fine. They will note that you properly perform all these checks before you start to drive. Make sure that your seats are properly adjusted and you can easily step on the pedals. To make sure you may place your feet under the brake pedal in a flat position. If you manage to do this easily then your seating is proper. It is very important to continuously perform the observation cycle during your road test. They note how often you check over your shoulder, your mirrors and how you respond to signs, traffic and pavement markings. Move your head well when you do a shoulder check to ensure that the examiner has seen it. Don’t do a half -hearted try! The cost for a G2 test preparation course from a reputed driving school in Ontario may be anywhere from $500 to $800. This cost varies as per your driving skills and your need for practice. If you never drove you may need to take many driving lessons. The hourly cost for driving lessons may range from $40 to $70. When you get training from a certified driving school approved by the government your wait time for G2 road test may reduce to 8 months. Such training helps you to gain the skills to be a responsible and safe driver. You must choose a reputed driving school and steer clear of any schools that MTO has revoked. A reputed driving school must meet standards set by MTO for advertising, administration, and training in-class & in-vehicle. This training must have at least 40 hours of instruction and the schools display a license given by the Ministry during every class. Check out the driving schools listed on the MTO website for approved driving courses. Make sure that the school is not on the revoked list. Ask your co-workers, family, and friends to recommend a good driving school. Once you choose a driving school, meet the instructors who will give you in-car and classroom training. The G2 road test looks at your driving skills in the city and expressways along with knowledge about rules of the road. You may steer, accelerate or brake smoothly, follow safe distance and adhere to speed limits. Placing and parking your vehicle in the correct gear and obeying all traffic rules and signals will help to pass your test. Your examiner may give you directions during the road test. You may listen carefully and drive your vehicle as per the rules and road conditions. They will look at how confidently you drive, follow directions and traffic signals. If you successfully perform all driving, parking, turning and stopping actions then it may benefit you. By driving in a safe manner and yielding to pedestrians, you may score points. It is best to practice driving well and to learn the rules of the road before you take your G2 road test. As you become familiar with the road and traffic conditions you feel confident of taking your G2 road test. So, it is best to practice well and pass your road test to get your G2 license. You may practice by driving more often and pay attention to all rules. The driving lessons from a reputed driving instructor would also help to refine your driving skills. Any time you get a chance to get behind the wheel, you must practice and learn the road conditions. You may bring a vehicle in good working condition fuelled with enough gas for the test. If you wear contacts lenses or glasses then you may wear them for the test. You may carry a valid G1 license, driver training program certificate copy if any, proof of insurance and registration certificate. Test vehicle in proper working condition with fuel. 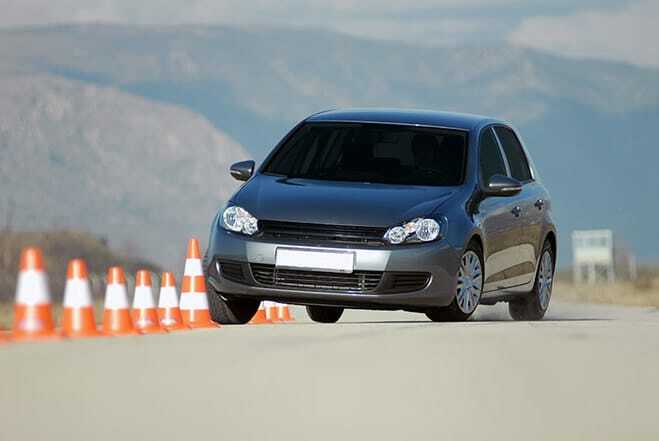 If appearing for a stand-by road test then you may carry the test fees. Valid G1 license and driver training certificate if applicable. Carry your glasses or contact lenses for the road test if you wear them on a regular basis. Gain highway driving experience and sign a declaration about your experience. Your examiner will inspect your G1 license and ask you to sign a declaration for highway driving experience. The examiner will inform you the time period set for your road test and will explain the test instructions. They will watch your driving skills for controlling, starting, observing, turning, stopping, parallel parking and 3- point turning. When you follow instructions and show a high level of driving skills on the freeway and highways then you pass the test. On the declaration form, you must indicate how many times you drove on a highway with a speed limit of at least 80 km/hour in the past 3 months prior to the test. If you are not sure about something do not perform any dangerous or illegal driving action. The examiner may not coach you during the test so you may clarify any doubts before the road test begins. They may check your use of the mirror, traffic signs, turn signals, brakes, vision field, pavement markings, response to traffic and other hazards. The examiner will test your eye contact with pedestrians and other drivers, safe driving decisions, lane changing skills, following distance and yield of right of way. A G2 driver may misjudge their right of way when they are allowed to take it or not during a test. Any failure to check mirrors, observation, running on yellow or red lights, lack of confidence are common mistakes. Not stopping completely at a stop sign, not proceeding at green lights, turning right without yielding to pedestrians and not following speed limits. Apart from the above, they may check how often you shoulder check, your adjustment to speed limits and if the parking skills are weak. If you violate any Highway Traffic Act rule then it is an automatic fail. The examiner will score your driving skills and make notes while giving you instructions. If you fail the test then they will give you a full report of your mistakes and explain your fault. This report will show your weak areas in driving that need to be improved. During your road test if you perform any action that is unsafe or illegal then your examiner may automatically fail you. A pedestrian had stepped on to the intersection but you do not stop. Another road user has to be evasive to avoid hitting and honk at you. You accidentally accelerate instead of hitting the brakes and drive over the sidewalk or curb. Any action in which the examiner has to take over the control for road safety is a no-no. You must get lots of practice to refine driving & parking skills and get comfortable with 2 & 3 point turns. Familiarize yourself with the testing area, test vehicle, rules of the road, parking skills and follow all instructions in a safe manner. Hold the steering firmly with both hands, look ahead, observe carefully and don’t follow too close. Before you start, adjust mirrors and wear your seatbelt or glasses/lenses if applicable. Check all your signal controls and lights work. You must pay attention to where and when you stop and change lanes. Adhere to the posted speed limit and maintain your speed, not too fast or slow and be prepared for any sudden hazards. Do not break any driving law. Make good use of your mirrors and perform shoulder checks often for safe driving and lane changing. Do not forget to use your parking gear and emergency brake appropriately when parking downhill or uphill. Also, remember to release your emergency brake before you pull away from that spot. There is no need to hurry, brake smoothly and properly shoulder check when you back up. Use turn signals properly at intersections and while changing lanes avoid blind spots. Practice a lot on how to properly park parallel. You may give yourself enough time to practice on the roads, familiarize with the test vehicle and stay focused on the rules of the road. This would help to pass your G2 test with flying colors. Taking your time before you give your road test and using every opportunity to practice would help to boost your confidence and skills. Yes, that is the keyword to perfecting your driving skills in a real world situation. The rules of the road, the functioning of your test vehicle should be as clear as the back of your hand. Well, if you don’t have a car then you may request your parent’s permission to use theirs and run errands for them. Try to drive for your friends or family during the weekends or leisure times. When you grab a 30-minute drive here and there, you are polishing your driving skills and know the possible hazards too. It is also advised to book some professional driving lessons from a reputed school. Although you may pay anywhere from $50 to $75 for an hour’s training, it would assess your skills. You may pass your G2 exit road test to get your full G within 1 to 5 years. This is a strategy used by some new drivers when they fail the G2 road test many times. Ideally, you should be able to drive equally well and pass your road test locally. However, sometimes new drivers find local traffic conditions negatively affect their test. Certain driving schools also may ask you to book your road test in a remote location. This boosts their rates for success chances. But at the end of the day when you pass the test, you have to drive in your locality, your neighborhood, and town. If you have booked your road test outside your local area then you may not want any surprises in the road layout. You may practice for a general idea about that area for a few times before your road test. Also, if you are not driving your car for your test and is an instructor’s or friend’s car then know all the controls. Do not fidget with the controls as this would take away your score. So, if you are testing in your instructor’s car then you may practice an hour or 2 before the test. This will help you to warm up for the test and refresh your memory on the rules of the road. Check well in advance that the test vehicle is in good condition. Any nasty surprise such as a broken seatbelt could hamper your test. Though stressful, you may pass a road test if you are confident of your skills and are able to comfortably drive your test vehicle. After you pass the road test and get your G2 license you must follow all the rules and restrictions for your G2 level. There are more restrictions for new G2 drivers who are aged less than 19 years. Maintaining zero alcohol level, driving limits during midnight, seatbelt conditions and limits of passengers are all important. Your G2 license level may last a minimum of 12 months. It is necessary to follow the restrictions imposed on a G2 license holder. You must have zero BAC and have a working seat belt for each passenger. You may carry only one passenger if you are 19 years old or less. This is for the first 6 months after passing G2 road test but after you may carry up to 3 passengers who are 19 years or less and applies from midnight till 5 a.m. When you are at least 20 years old then you may drive anywhere with a G2 license. This includes any highway or roadways in Ontario. If you are less than 20 years old then you may carry only one passenger, less than 20 years old. You must make sure that you have zero level alcohol in your body. Since a G2 license is not a full license, you may check acceptance with the licensing authorities of the U.S. state before you drive there. Once you are outside Ontario, you have to adhere to the licensing rules of the other province or state. Check with the state DMV for age or license validity. Your age and the state rules matter the most and you may confirm with the DMV of that state before you travel. It is also important that you notify and check with your insurer if your coverage extends when you drive to U.S. The car insurance rules for each state may vary so you need to confirm you have adequate coverage when you drive to States. Yes. A G2 license holder may drive alone on the highway if aged at least 20 years and they need to follow the restrictions for a G2 level. They need to have zero BAC and wear a working seatbelt. It is important to adhere to the highway speed limit and follow all rules of highway driving. Yes. A G2 driver may drive out of Ontario province and observe all the rules and restrictions. You must have zero BAC and wear a working seatbelt. It is also important to adhere to all the provincial rules for an equivalent level of license in that province. Yes. G2 drivers who are at least 20 years old may drive at night on any road or highway in Ontario. However, if they are driving between midnight and 5 a.m. then they may carry 1 passenger if aged less than 20 years (for first 6 months). They may carry up to 3 passengers if aged 20 years or more. Yes, G2 license drivers may be allowed to drive a small truck that belongs to G-class vehicles. The gross weight of the truck must be less than 11000 kg even if you attach a towing device to the truck along with cargo. The weight of the vehicle that is towed must not exceed 4600 kg. Yes, a G2 license holder may rent a car in Ontario and follow all the restrictions. It is also important to meet the age restrictions that many car rental companies have for renting a car. Some car rental companies may have their own set of rules that may not allow a G2 driver to rent a car. No, you may not drive for Uber with a G2 license as it is not a full license. In order to drive for Uber, you must have a valid full G license and vehicle safety inspection certificate. You must be minimum 21 years old and carry valid proof of eligibility to work, car insurance and registration documents. When you get your G2 license then you have a minimum of 12 months to practice and give your G2 exit road test. If you fail your G license road test and your G2 license expires then you may re-apply as a novice driver. So, to avoid from starting all over again you must pass your G road test before your G2 license expiry. G2 is valid for 12 months and cannot be renewed as it is a novice driver license. If you do not pass your G road test then you apply again to get a G2 license as a new driver. In case your G2 license may expire soon then you may take your G2 road test to get 5 more years for a G2 license. If your G2 license expires then you may reapply for a new G2 license. But you do not have to wait for the mandatory 12 months to give a road test. You may just need to clear the eyesight exam and then book for your road test appointment. However, if your G2 license was invalid for a time period of more than three years then you may reapply as a new driver. This means you start all over again and give your written, vision and road tests. No; you may not extend or renew a G2 license after its expiry since it is a novice license. However, if your G2 license is about to expire soon then you may pay fee plus all applicable taxes to get a 5-year extension by passing a G2 road test. If you do not extend and if you fail your G2 exit road test, you may lose your G2 license and go back to G1 license. MTO will mail you a renewal notice about 6 months before your G2 license is due to expire. This notice will tell you your license level and what you need to do when your G2 license expires. 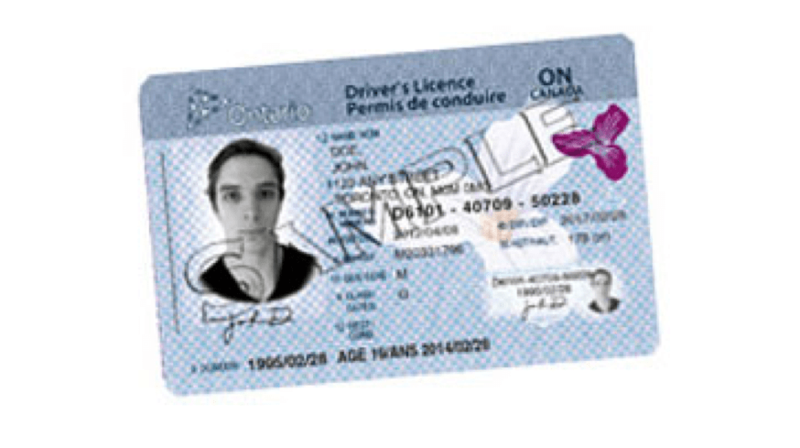 If your G2 license has not yet expired then you may renew it by visiting Service Ontario site or a DriveTest center. You need to pay $75 fee and show them original identity proof for name, signature, and age. If you have to take any additional tests then you have to pay those fees. You may renew your G2 license before its expiry by mail if you are not required to provide a new picture. The documents should be mailed to Service Ontario, P.O. Box 9100 Kingston, Ontario K7L 5K3. If you are mailing from outside the province then you have to submit the renewal form and current license copy to Licensing Administration and Support Office. There is also an option to renew your G2 license by filling out an online form.